Toyota made changes to its production capacity to make space for more Tacomas. Those changes are showing real results. The big increase is yet to come. Details. Way back in very early 2015, Toyota's chief designer for the Tacoma made a very interesting statement that went unnoticed by most of the motor press. Automobile Magazine asked Mike Sweers how his new 2016 Tacoma design could "grow sales." 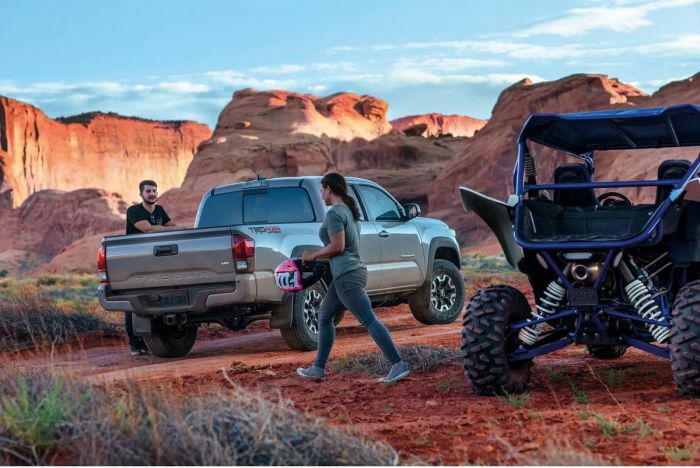 Sweers' answer was that nothing he could do with the design could grow sales since Toyota's Tacoma production capacity was at its maximum level. At that time, that meant roughly 12,000 to 14,000 Tacomas per month on average. Sweers' co-workers knew what the press rarely mentions in stories about the midsize truck market when they report "Sales of X vs. Y." That the midsize truck market was not limited by competition, but production capacity. Toyota, Chevy, GMC, and Nissan sell all the trucks they can push out the door each month. It's not a diesel engine, or a manual transmission, or ground clearance that is making one more popular than its peers, it's production line space. Toyota got to work on the problem. First, every existing shift was maximized. Next, Toyota began to shift work from place to place to make a few more trucks by scavenging line hours here and there where possible. The Tundra is made in the same plants, so Toyota had to balance the larger truck's production as well. At one point a major storm closed the Tacoma factory. In the end Toyota found more capacity to boost sales to about 18,000 units per month. Obviously, adding more capacity would be the best way to increase sales, but that also brings hard choices and capital investment decisions. Toyota decided to add capacity to its Mexican Tacoma plant in late 2016. That move has now started to bear fruit. This month, the Tacoma plants were able to produce enough Tacomas for its dealers to sell over 20,000 units. That is nearly double what its main competitors can individually produce. Don't assume that Toyota will restrict Tacoma's volume for political reasons. In July of 1986 Toyota built and sold 38,233 Tacomas. Toyota's Tacoma sales are still red hot and the production capacity expansions are still underway. The biggest move is yet to come and could double Toyota's capacity for this top-selling vehicle just in time to meet the new Ford Ranger head-on. footnote: The Tacoma did not exist in 1986.